Ingram set a scorching lap record during qualifying on Saturday, taking a maiden pole position in the process, and the 22-year-old duly backed up his pace with an impressive lights-to-flag victory in the season opener. 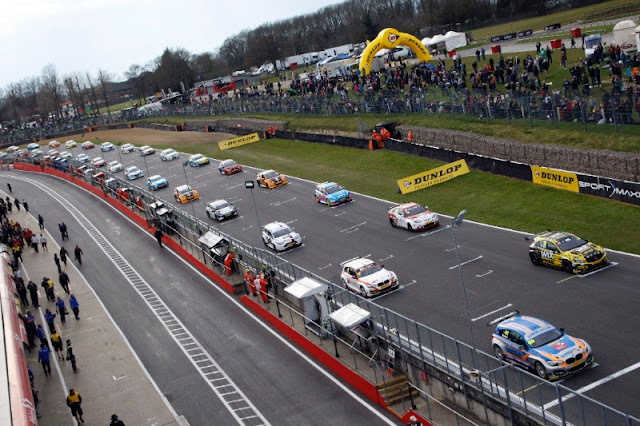 Reigning champion Shedden inherited the lead and ultimately the win in the second contest, after contact between Ingram and West Surrey Racing’s Rob Collard sent them both spiralling out of contention. Race three produced another lead change when pole-sitter Sam Tordoff had to give up top spot to the hard charging Morgan. Tordoff and WSR team-mate Jack Goff kept Morgan’s Mercedes honest throughout, but the WIX Racing star held on for his third career victory. MG’s young duo continued to belie their relative inexperience by finishing fourth and fifth, with debutant Ashley Sutton getting the better of Josh Cook. 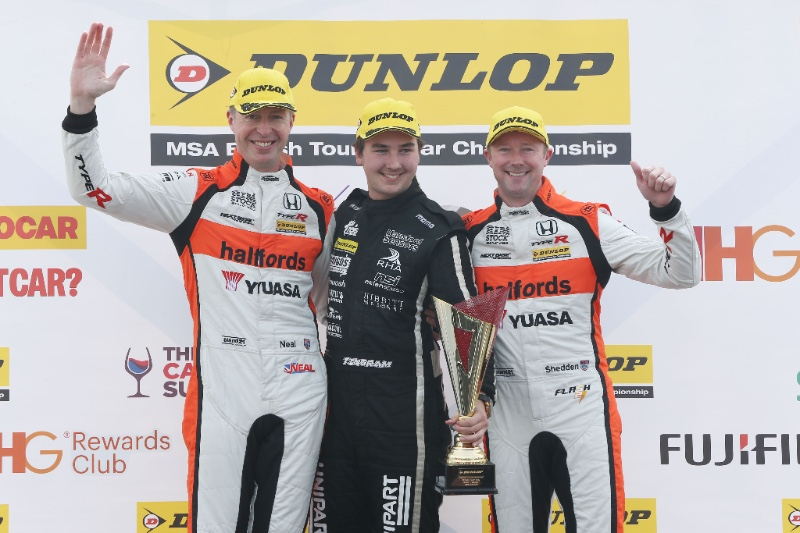 The Halfords Yuasa Racing boys improved further in the second bout by scoring Honda’s first one-two of the season, as Shedden headed Neal. Ingram’s Toyota had maintained the lead off the line while Collard’s BMW blitzed from sixth on the grid into second before the 32 cars reached Paddock Hill Bend for the first time. Collard immediately set about attacking Ingram and the duo touched at Paddock on the second tour before more forceful contact at Druids sent the BMW into a spin. Ingram continued for half a lap but then slowed with damage, which was caused as a result of the earlier incident. Morgan celebrated victory in race three around the 1.2-mile Indy circuit after holding off a near race-long threat from the WSR duo of Tordoff and Goff. WIX Racing’s Morgan slotted in behind pole-sitter Tordoff and the soft Dunlop SportMaxx tyre-shod Mercedes crawled all over the back of the BMW on the opening lap. 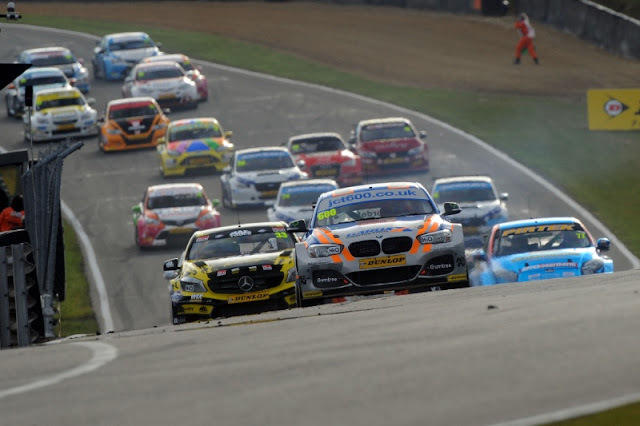 Morgan eyed his opportunity on lap two and darted past Tordoff on the run down to Paddock Hill Bend. The closing stages were tense as Tordoff and Goff hauled their BMWs back towards Morgan's Mercedes. The Lancashireman kept his powder dry, however, and saw off several attacks to take the win. Three-time champion Neal may not have won any of the three opening rounds but used all his experience and guile to bag more points than his rivals with strong second, third and fifth-place finishes. 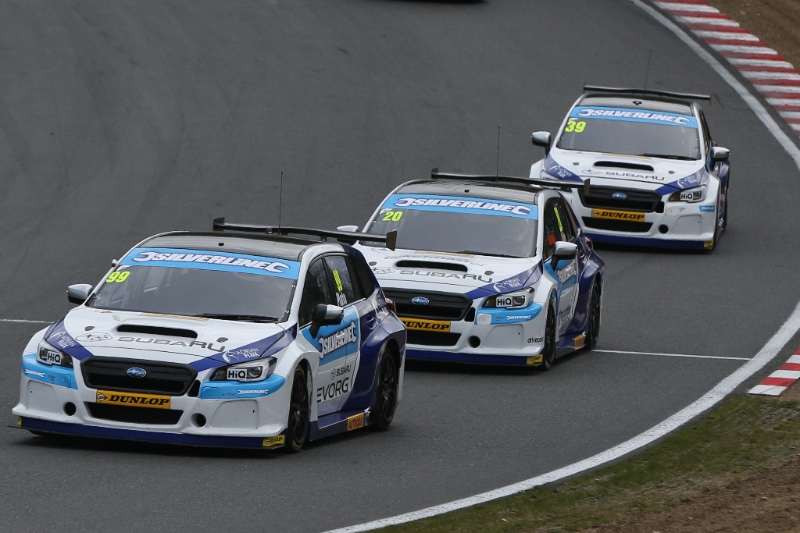 He currently leads the standings from stablemate Shedden, while race three winner Morgan lies third, just six points off the championship summit. Aron Smith and Andrew Jordan enjoyed solid outings and line up in joint fourth. 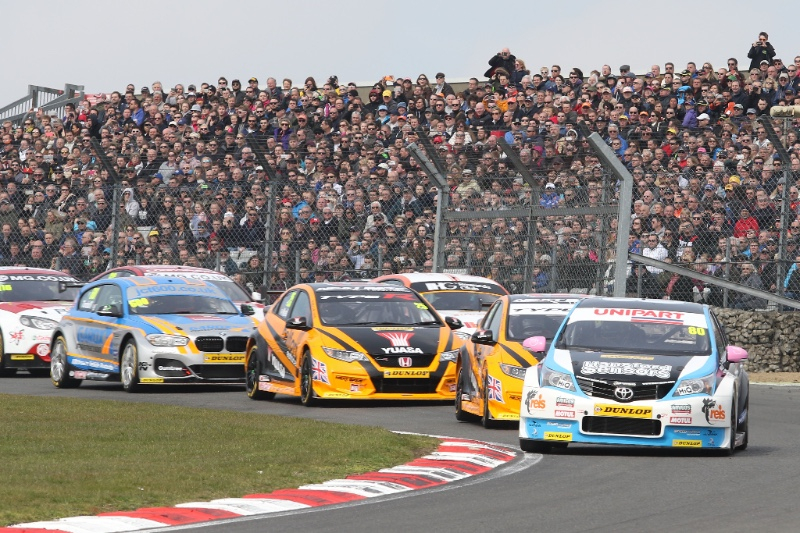 Tom Ingram said: "This is what all the hard work over the winter was for. With the way we finished last season, we knew we had a good package underneath us, and Speedworks Motorsport are such a fantastic bunch of guys – this result is for all of them. When I saw the team celebrating as I climbed out of the car afterwards, it brought a tear to my eye, and the emotion just goes to show how much this first victory means to us. It’s unbelievable." 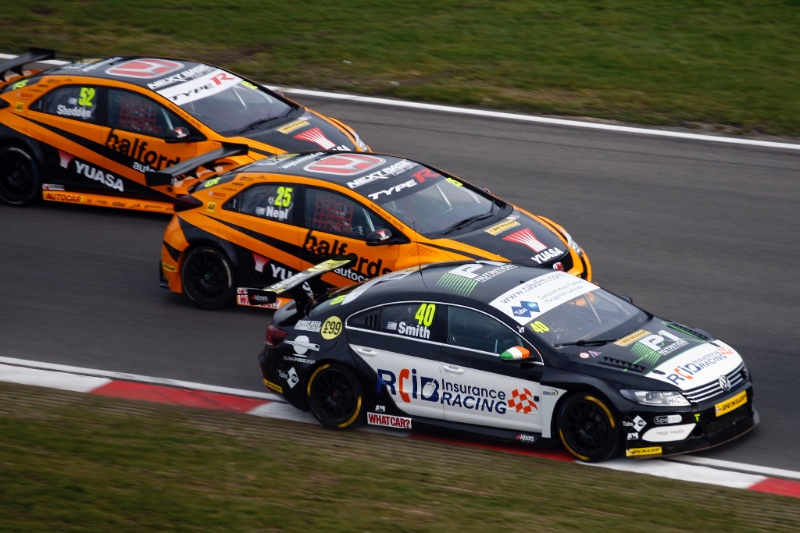 Gordon Shedden said: "It’s been a good weekend, with a couple of podiums for me including a win, a big points haul and Matt and myself sitting first and second in the Drivers’ classification. The Honda Civic Type R is clearly very fast, and there’s still more to come from it as we are learning all the time. We didn’t take any risks in race one and perhaps went a little bit too soft on the set-up. I think my car was actually slightly better with the ballast on-board in race two, which wasn’t at all what we had expected, and I got bullied a little bit in the early part of race three and then picked up the puncture. Still, no complaints – it’s been a very strong weekend for us." Adam Morgan said: "It’s been an unbelievable finish to the weekend. Our pace was reasonable in races one and two, and then obviously the reverse grid played out in our favour. I was certain I was going to be down in third by the first corner with two BMWs around me, but I got probably the best start of my life and managed to hold off Jack [Goff]. I knew I needed to get past Sam [Tordoff] as soon as possible because the rear-wheel drive cars take a bit longer to warm up their tyres, and after that it was a case of managing the gap. The whole team has done a superb job – the new engineers and all the mechanics have been brilliant. To leave Brands Hatch third in the points is a great way to start the season." Matt Neal said: "It’s been a fantastic weekend and a cracking day today for the team. 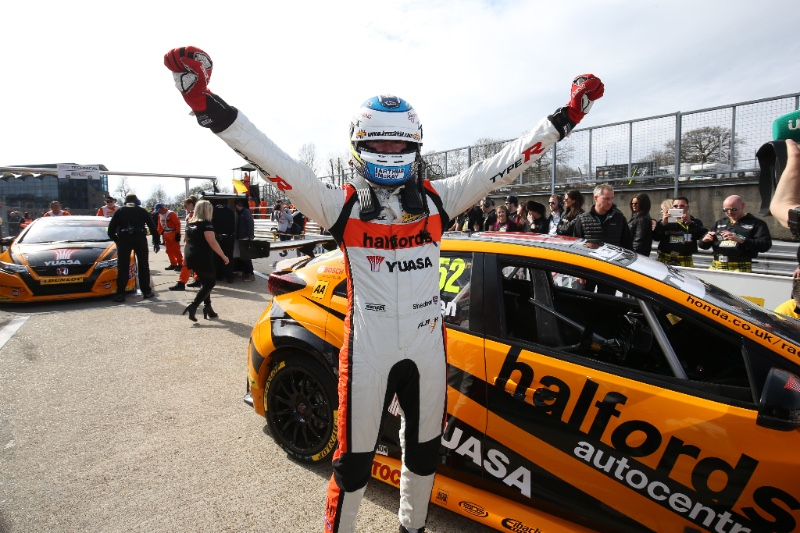 What a way to welcome Halfords back to the grid and to repay Yuasa’s loyal support. I’m over-the-moon – dead chuffed. We probably went a bit too safe with the car due to the conditions in race one, and race two got a bit sketchy at times; ‘Flash’ and I were settled in third and fourth when it all kicked off ahead of us between the two leaders, and then there was oil down on the track at Graham Hill Bend later on. We scored more solid points in race three, and to come away from Brands leading the championship is just the perfect start." Aron Smith said: "I’m over the moon with the way this weekend has gone. Three weeks ago, these cars were sat in a shed not going racing. The work that both BKR and Team BMR have put in to get us to this point has just been phenomenal, and I really can’t thank everyone enough – particularly Warren Scott. It’s no exaggeration to say that without him, we would not be here. He’s done an amazing job. Everybody at BKR is so enthusiastic, and that excitement is infectious."